Ashok Chavan was speaking about the resignation with reference to the differences on the issue of Maharashtra’s Chandrapur Candidature. Congress has given ticket to Vinayak Bangade instead of Vishal Muttemvar or Balu Dhanorkar to contest the upcoming Lok Sabha election 2019 from Chandrapur constituency of Maharashtra. Ashok Chavan can be heard nodding his agreement over disappointment in the selection of the candidates for the seats in Maharashtra by the Congress party. Congress Party faces yet another jolt, the party chief for Maharashtra, Ashok Chavan is allegedly mulling over quitting the party soon. 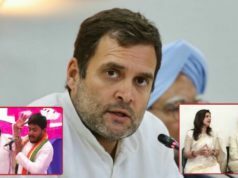 An audio clip is going viral which allegedly has the former Chief Minister of Maharashtra and current Maharashtra Congress party Chief, Ashok Chavan, speaking on it. He is allegedly speaking to a party member from Maharashtra’s Chandrapur and says that he is mulling to resign from the party. “No one listens to me… I myself am considering whether I should resign,” allegedly says Ashok Chavan in the audio clip. Chavan was speaking about the resignation with reference to the differences on the issue of Maharashtra’s Chandrapur Candidature. Congress has given ticket to Vinayak Bangade instead of Vishal Muttemvar or Balu Dhanorkar to contest the upcoming Lok Sabha election 2019 from Chandrapur constituency of Maharashtra. Ashok Chavan can be heard nodding his agreement over disappointment in the selection of the candidates for the seats in Maharashtra by the Congress party. Caller: This is Rajurkar from Chandrapur. Caller: Sir, Vinayak Bagde has been given ticket in Chandrapur. Our candidate could have surely got elected in Maharashtra. Chavan: I agree with what you are saying but you speak to Mukul Wasnik. People there are not understanding. Caller: But sir, Mr Vinayak Bagde? Chavan: I am with you please try to understand. Caller: But Mukul Wasnik is no one in front of you. You handle all of Maharashtra. Caller: That seat is in Trouble. When Ajanta News tried to contact Ashok Chavan, the calls went unanswered. However, while talking to India Today TV, he said that it was a personal conversation between two workers of the party. “It was a personal conversation between two people. The party’s decision is final. We have not been able to satisfy all the Congress workers but the party’s decision is final,” said Ashok Chavan. 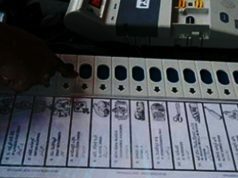 “There are complaints about the Chandrapur seat. I don’t want to discuss the party’s internal matter in the public,” he added. 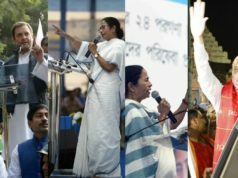 Congress has so far announced candidates for 12 seats in the state. The Congress has formed a pre-poll alliance with the Nationalist Congress Party (NCP) in the state. 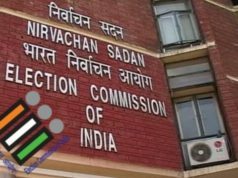 Congress will contest on 24 seats, NCP on 20 seats, Bahujan Vikas Aghadi on 1 seat, Swabhimani Shetkari Sanghatana on 2 seats, Yuva Swabhimani Paksha on 1 seat. 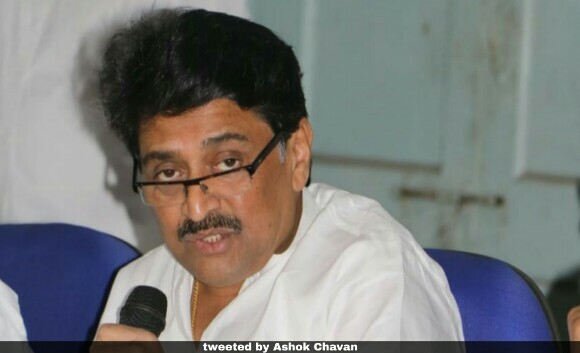 Intrestingly, the Congress has not declared it’s Lok Sabha candidate from Nanded Constituency, which is currently represented by Ashok Chavan. The party has faced a series of resignations of it’s prominent leaders in the past few days and has not yet overcome with it and now the Congress party chief for Maharashtra may quit the party. If Ashok Chavan quits the party at this difficult time, it would be a huge setback for the party ahead of the general elections. Earlier Sujay Vikhe Patil, son of Leader of Opposition in Maharashtra Legislative Assembly, Radhakrishna Vikhe Patil, and Ranjitsinh Mohite Patil, son of Nationalist Congress Party (NCP), Member of Parliament (MP) and former deputy Chief Minister of Maharashtra, Vijaysinh Mohite Patil, joined the Bharatiya Janta Party (BJP). Then, NCP’s state unit vice president, Bharti Pawar, and Congress leader Pravin Chheda joined the BJP. There are reports about former Union Minister Jitin Prasad, who is allegedly mulling to quit the Congress Party and join BJP. His stand on this report is however not yet clear. Moreover, the party is already facing the controversy of giving a Candidature to the supporter of Sanatan Sanstha. The Congress is facing a difficult time while preparing for the general elections. 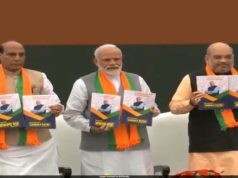 Previous article‘PM Narendra Modi’ to be Released a Week Before Lok Sabha Election 2019, Is it a Master Stroke in Favour of BJP?